The team at Rig Up, the energy industry’s largest and fastest-growing marketplace for contractors and service providers, have moved into their new headquarter designed by MF Architecture at One Eleven Congress in Austin. A office warming party was held to celebrate this milestone. 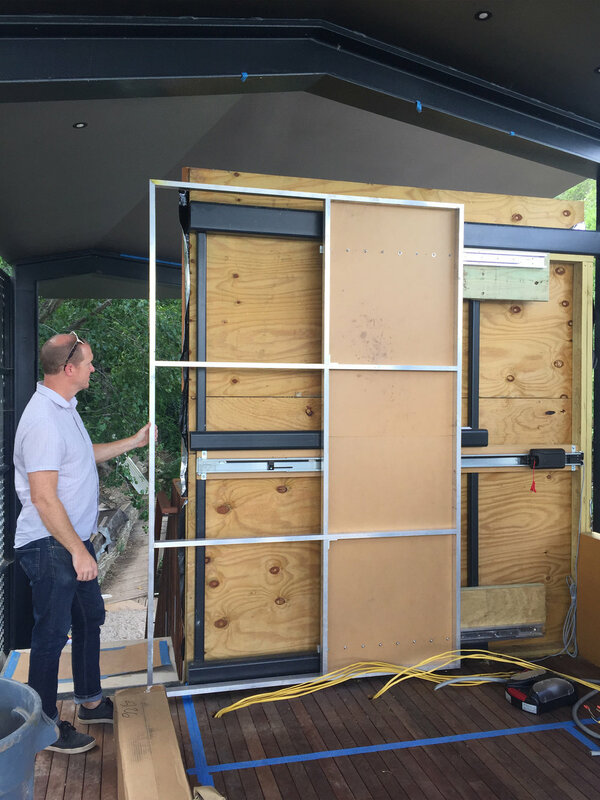 We would like to thank everyone who came out to see us on February 23rd during the 2019 Austin Modern Home Tour. We had such an amazing time hanging out with y’all! 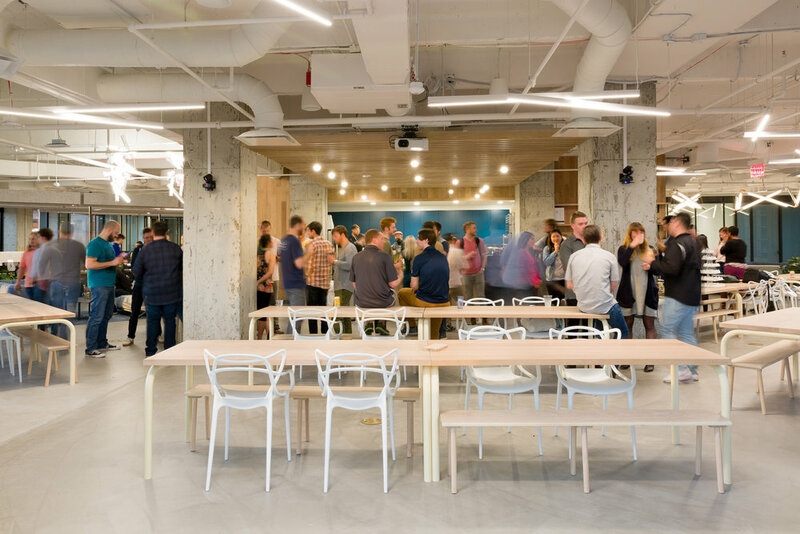 MF Architecture named one of the "10 [Finest] Architecture Firms That Design Austin Office Space"
MF Architecture has been named one of the “10 [Finest] Architecture Firms That Design Austin Office Space'' by Commercial Cafe. “One of the youngest architecture firms on our list, Matt Fajkus Architecture has quickly placed itself among the top companies of its kind in Austin. Their innovative ideas, practical use of energy-efficient strategies and intelligent material choices have catapulted the firm among the most notable ones in the industry. 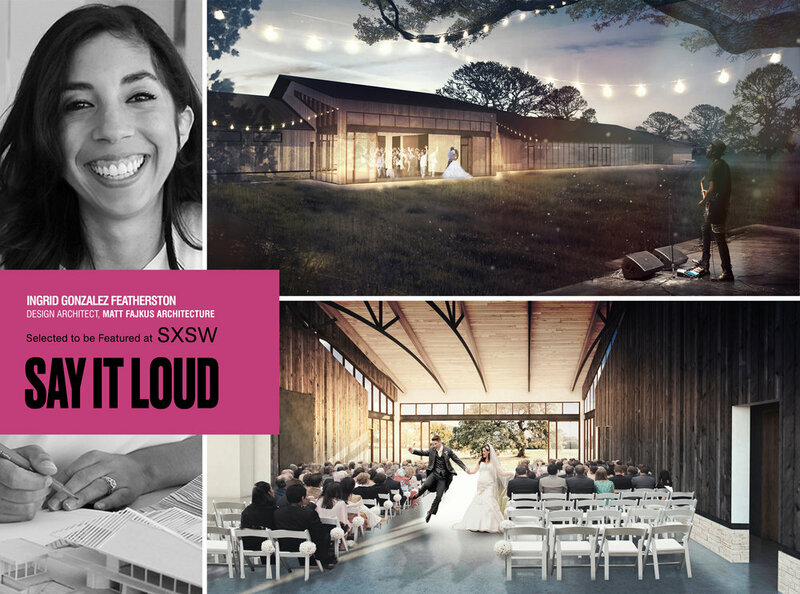 MF Architecture team member Ingrid Gonzalez Featherston has been selected to be featured as part of the Say It Loud Exhibit at this year’s SxSW! With a “To see our faces, hear our voices, feel our impact within the colorful tapestry of our heritage” concept, the exhibit features projects by diverse design professionals, as well as quotes and interviews on their experiences in the architecture and design professions across the nation. Featherston is an advocate for community engagement through her participation with the ACE Mentor Program of Austin, AIA Austin’s Latinos in Architecture, National AIA Equity + Future of Architecture Committee, & Advisory Board Member for the Hip Hop Architecture Camp. By engaging in these organizations, she is strengthening the importance of education & mentorship, where creating opportunities to become an agent of change within your community is key to an equitable practice of Architecture. Featherston was the Project Architect/Assist of our Wedding Venue project. The design team also included Kevin Olsen (Project Architect/PM), Michael Deere, Jayson Kabala, Ian Ellis, and Matt Fajkus. The Wedding Venue is a carefully sited event space nestled into the Hill Country. Sited to take advantage of the existing natural landscape, the building negotiates the predicament of having an indoor & outdoor wedding ceremony space. Public and private realms are shifted in plan, with the primary hall inviting one to enter. The building is tucked between existing trees on the lot, allowing for the change in grade to protect one side while the other openly invites one into the landscape. The exhibit begins in Austin this Sunday, March 10th, until Wednesday, March 13th. You can vote for Ingrid Gonzalez Featherston on the People Choice Survey. 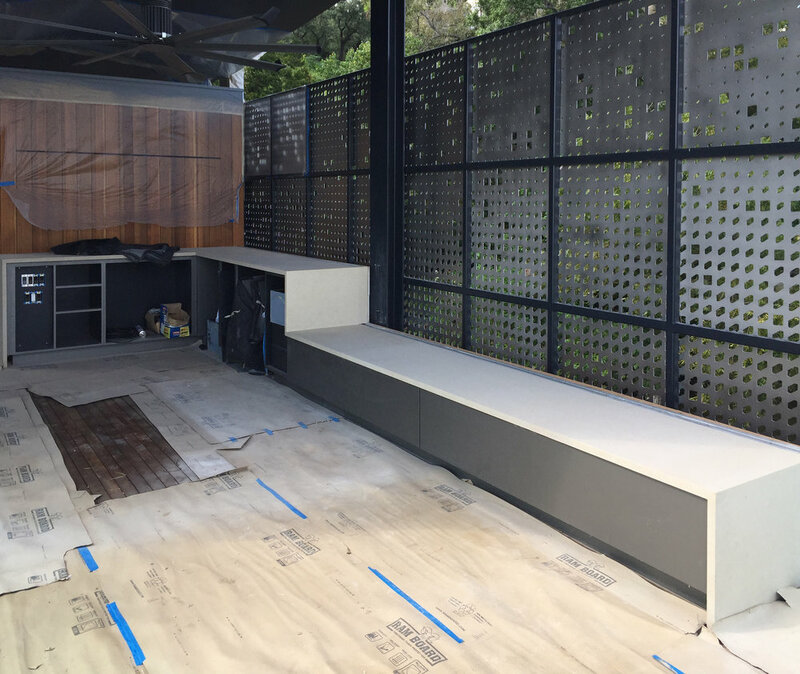 The RigUp office @ One Eleven is almost completed. The floor area starts with a white oak wood wrapped core that houses the main functions of the space including telephone booth area, break area kitchenettes, restrooms, and small meeting booth spaces. 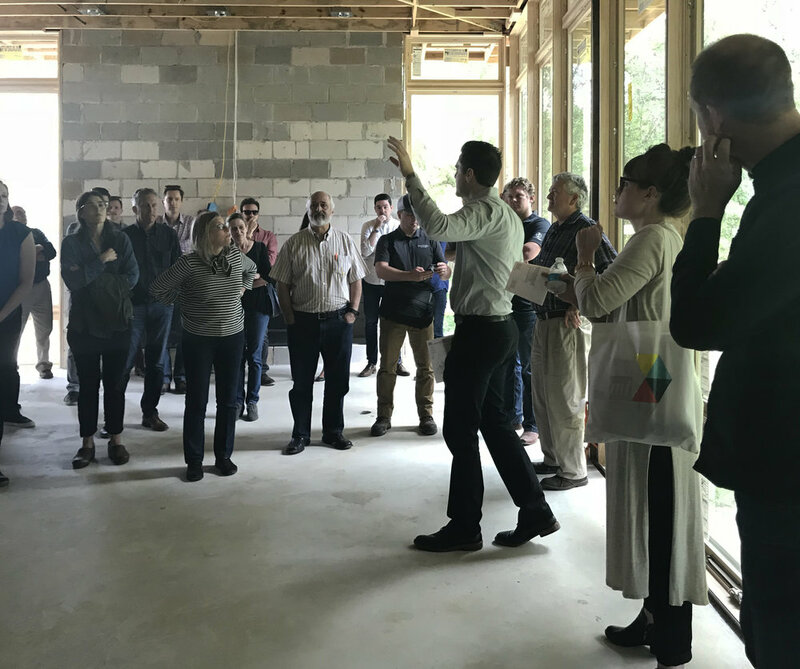 As you move outwards from the core, the space opens to an industrial concrete floor and steel and glass aesthetic with open work spaces and lounge areas. The desks are angled to capitalize on the view towards Lady Bird Lake and also respond to the existing building perimeter. Lounge areas are used to break up the large expanses of desk and also create a buffer between work and play. End capping the 24,000 SF of tenant space are the main break area kitchen/ all hands meeting and a quiet gathering space at the opposite end for deep work which were intended to have a residential feel. [Bracketed Space] House, recently furnished by Gingerwood Design, has been selected to be featured in the 2019 Austin Modern Home Tour. Tour dates: February 23, 2019. MFxPlans: Officially Launching Ready-To-Build Plan Sets! Craving a custom home designed by an architect and eager to build right now? Looking for ways to beat time and budget constraints without sacrificing designed quality? Matt Fajkus Architecture is excited to announce that, MFxPlans, an opportunity for you to buy ready-to-build architectural plans online, is officially launched! Each house from MFxPlans house will have a story to tell, and each considered design reflects our practice’s knowledge in creating spaces that impact people and their daily lives. Furthermore, because the materials are only called out generically, you have the chance to add your personal touch and make the finish-out of your home however you like! The drawings for the first MFxPlans house, “SHELLter,” are now available for purchase. 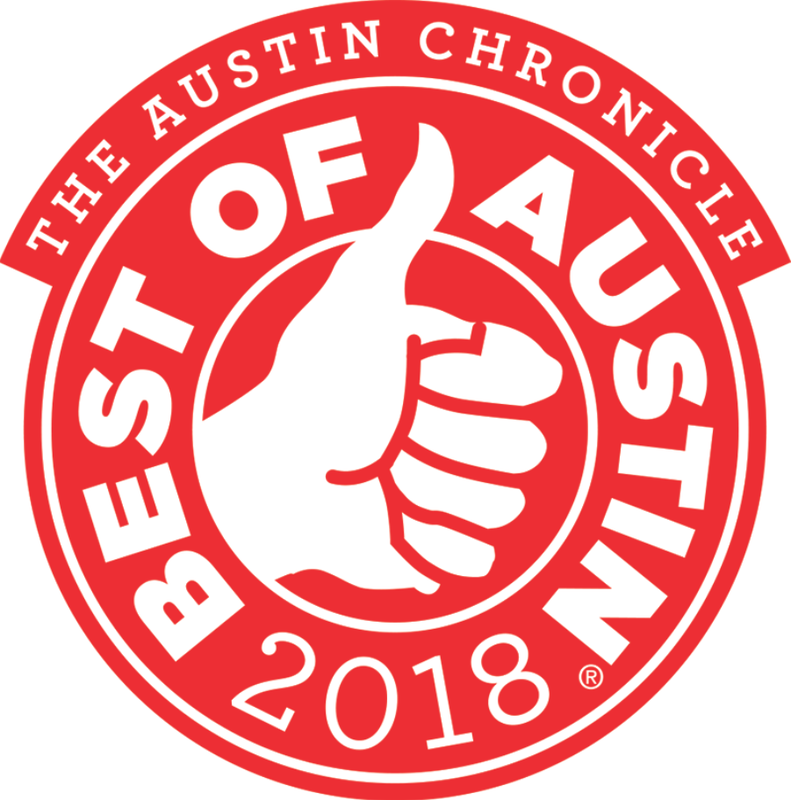 Alive + Well Austin has been named 2018 Critics Picks “Best of Austin” by The Austin Chronicle. Founded in 2016, Austin Design Week’s mission is to bring together the Austin design community. ADW invites designers in various disciplines to showcase the best in visual, interactive, web and mobile, product, industrial, architectural and civic design. ADW offers an opportunity to unite designers across Austin to act as one inclusive community - sharing their talents, projects, ideas and work spaces. Participants and attendees will explore the cutting edge work being done through some of the city’s most innovative creators. As part of this week-long initiative, MF Architecture will have an open door for self-guided tours from 2-4pm on Tuesday, November 6th. 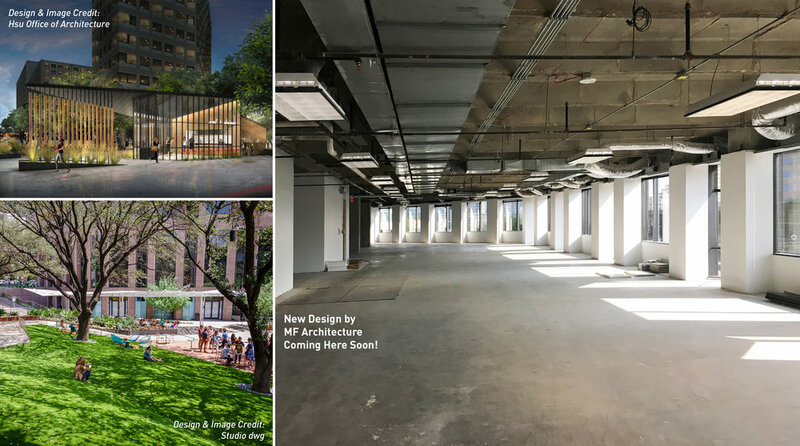 RigUp, the energy industry’s largest and fastest-growing marketplace for contractors and service providers, has selected MF Architecture to design their new headquarter at One Eleven Congress in Austin. The new office design for RigUp will be centered around creating a calm and relaxing environment for the tech savvy while also maintaining a level of creative collaboration for team spaces. Sun x Design, an event that celebrated Matt Fajkus and Dason Whitsett's new book "Architectural Science and Sun", was a great success! The Happy Hour event featured authors talks by Fajkus and Whitsett. The guests enjoyed small bites and drinks while mingling amidst Alkusari Stone's downtown Austin showroom. Sponsored by Alkusari Stone, Tribeza Magazine and Di Lux Austin. Alive + Well Austin has been named the "Best One-Stop Shop for Wellness" in Austin by Austin Monthly Magazine. Free garage parking, Garage entry off Pressler St; Pedestrian entry off 5th street. MF Architecture is featured on Wallpaper* Magazine's Architects' Directory 2018. Re-Open House has been selected to be featured in the 32nd Annual AIA Austin Homes Tour. [Bracketed Space] House named the "Regional Winner in Contemporary Interior Design by Luxe Interiors + Design's Red Awards"
[Bracketed Space] House, designed by Matt Fajkus Architecture and furnished by Gingerwood Design, has been named the "Regional Winner in Contemporary Interior Design (Austin + San Antonio) by Luxe Interiors + Design's Red Awards". Architecturally, a diverse material palette is paired with views and natural light to create a unique ambiance in each space. The interior space extends to a courtyard which terraces down to the tree canopy.